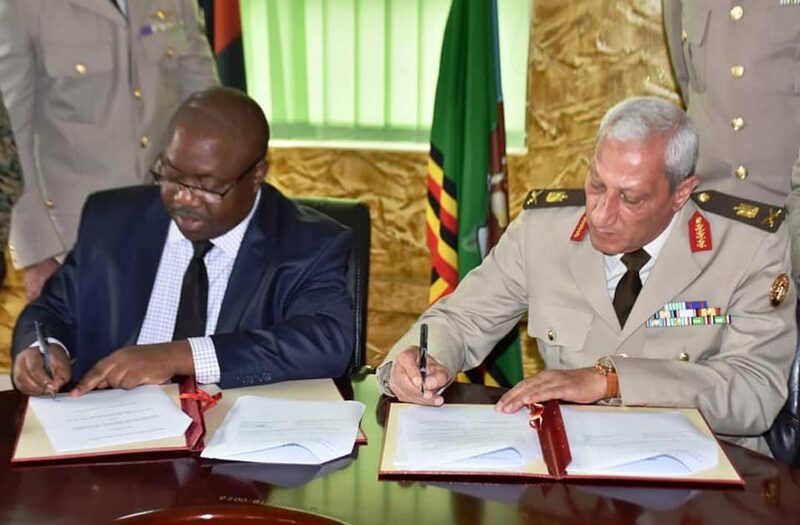 At a meeting held at the Ministry of Defence and Veteran Affairs headquarters in Mbuya, the Minister of Defence and Veteran Affairs, Adolf Mwesige signed on behalf of the Uganda Government while the Assistant Minister of Defence Hon Maj Gen Emad Mohammed Abdelaziz Helmy Elmasry signed on behalf of the Egyptian Government. 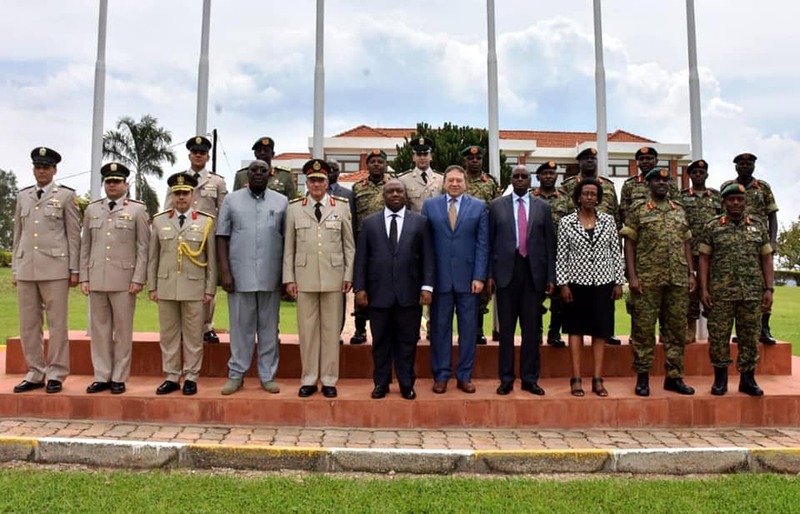 In his remarks, Minister Adolf Mwesige commended the Egyptian Government for sustaining the fundamental relationship between both countries, adding that the support and brotherhood between Uganda and Egypt has enabled cooperation in military training, health, and welfare related programs, among others. 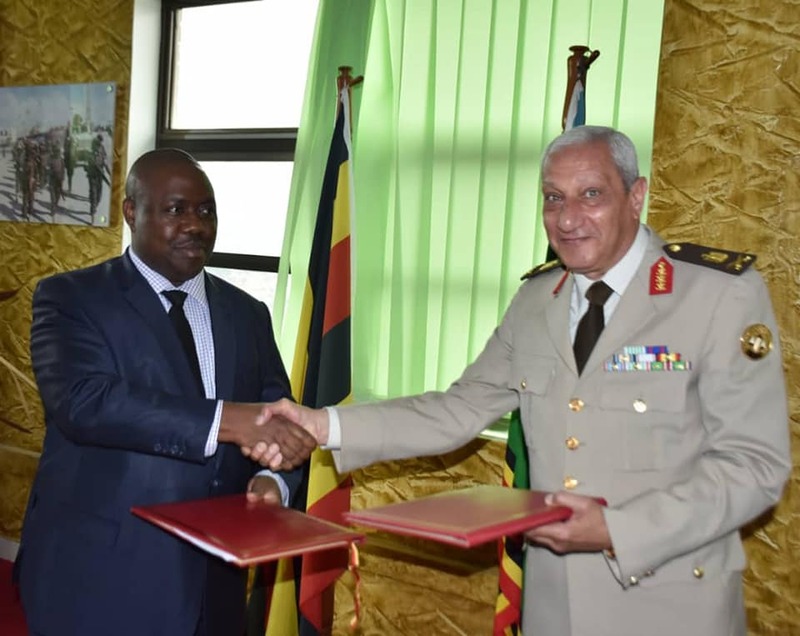 “Since its inception, Uganda has enjoyed strong diplomatic and strategic relation with Egypt in different areas. It is therefore important for our countries to have a robust defence system for development and transformation,” Minister Mwesige emphasized. 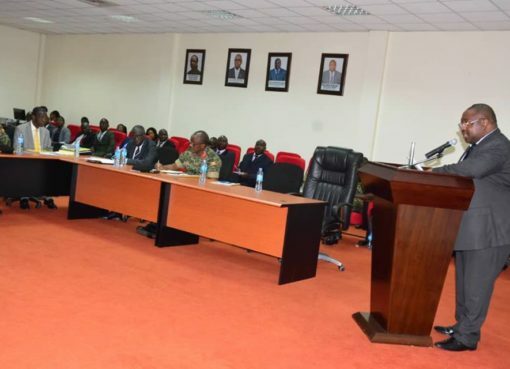 Mwesige also noted that the recent visit by the Minister of State for Defence in charge of Veteran Affairs Hon Lt Col (Rtd) Bright Rwamirama to the department of Veteran Affairs in the Egyptian Armed Forces was very educational in terms of mapping out a strategy to support UPDF veterans.